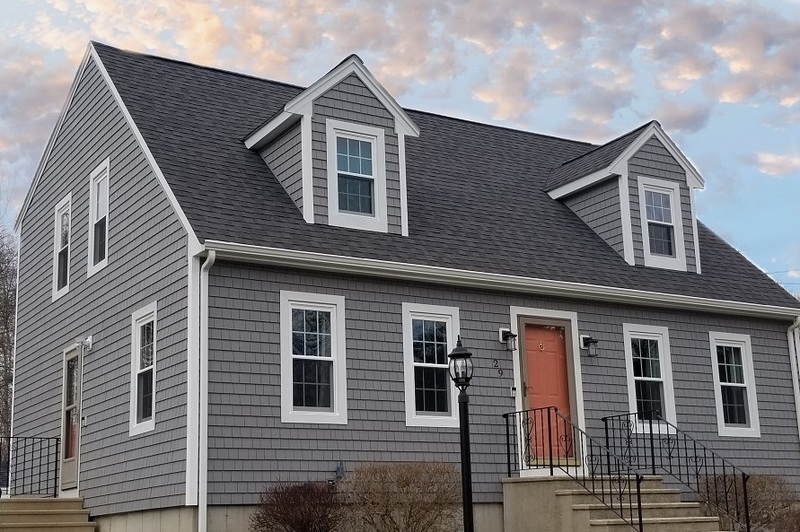 Custom vinyl siding looks beautiful on this Cape Cod style home in Acushnet, MA! The homeowner chose Mastic Cedar Discovery vinyl siding in the color, Deep Granite. Fabricated on site, white aluminum trim was also installed around all of the doors, windows, and fascia boards. 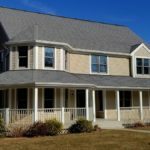 Homeowners who prefer the look of painted cedar shingles are opting for the maintenance free qualities of cedar shingle style vinyl siding – it eliminates the costly need to paint their home every 3-5 years. Cedar Discovery comes in a gorgeous collection of fade resistant colors that feature realistic wood textures and shadow lines. 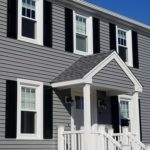 Learn more about the vinyl siding process with our 4 W’s of Vinyl Siding blog – we explain which siding is best, what to expect during installation, who to hire, and why you should make it Care Free! Neutral colors, like Deep Granite, are popular with homeowners who love traditional New England style or like a siding color that will look great with virtually any color door or shutter. Explore different siding, shutter, door, and roof color combinations with Mastic’s virtual Home Visualizer! With the tap of your finger you can mix and match colors to see what you like best! When the time comes to replace the siding on our home, trust your home to a professional. We are a Mastic Elite contractor and a Certified Installer of the Vinyl Siding Institute. With over 40 years of experience and an extensive list of industry credentials, we are honored to say that past customers and referrals make up 60% of our business. 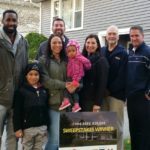 Thousands of homeowners across Cape Cod, Rhode Island, and the SouthCoast have entrusted our family with one of their most valuable assets – their homes! Get started on your next project with a FREE quote. Give us a call at (508) 997-1111, send a text via our website, or submit your information using our online form and we will be sure to follow up with. Make your house a Care Free home!